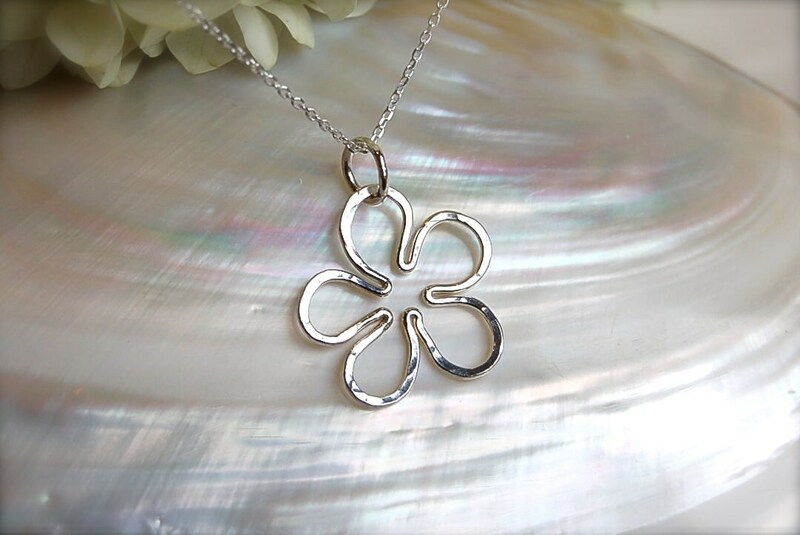 This sweet daisy flower necklace is a perfect everyday size. Each flower is literally "one of a kind", as it is completely hand formed, fused and hammered. Made from the purest silver available - Fine Silver .999. This small pendant measures less than 1" in diameter. It comes on a beautiful 18" Italian Sterling Silver Link chain.